Alexei is Senior Application Developer Manager at Microsoft Premier Support for State and Local Goverment + Education for Central region. Alexei graduated from Capital University with Bachelor of Arts in Chemistry ACS and Physics. He also attended graduate program at The Ohio State University for Analytical Chemistry. Alexei is currently employed by Microsoft as Application Developer Manager for the Premier SLGE Central Region. Alexei’s development background involves primarily working with Microsoft based platforms with special interests in Team Foundation Server and Visual Studio. Outside of work he is passionate about science, science fiction, hockey, and his wife Tammy. 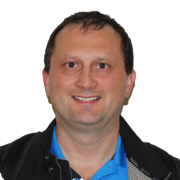 Alexei is the co-founder of Central Ohio Application Life-cycle Management Group and an active member of Ohio IT community. Twitter: @Leshka. You can read more about Alexei Govorine at govorin.blogspot.com.